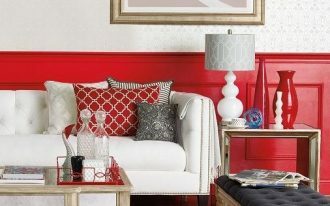 Mixing and combining styles are common to make the room more exciting. 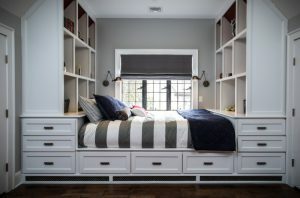 Combining styles also makes the room feel unique and interesting no matter which room it is. 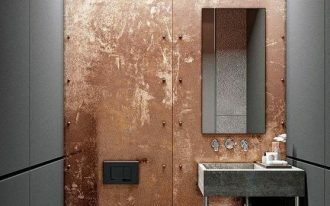 To give you some ideas on how combining styles might look in the bathroom especially, these ones below are some examples. 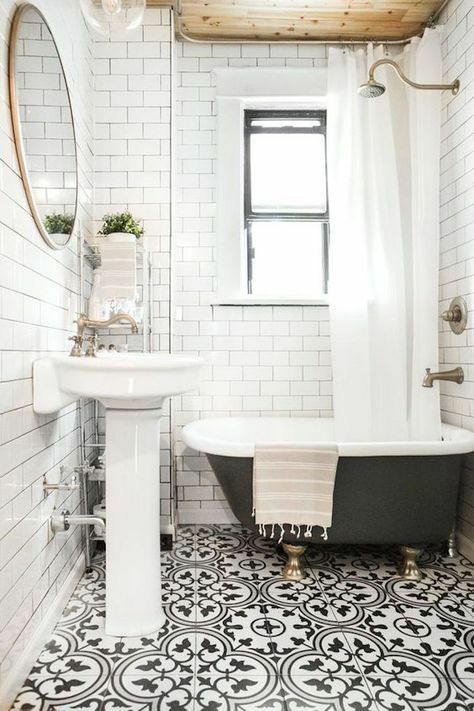 However, we’ll focus with bathrooms with modern and vintage mix. 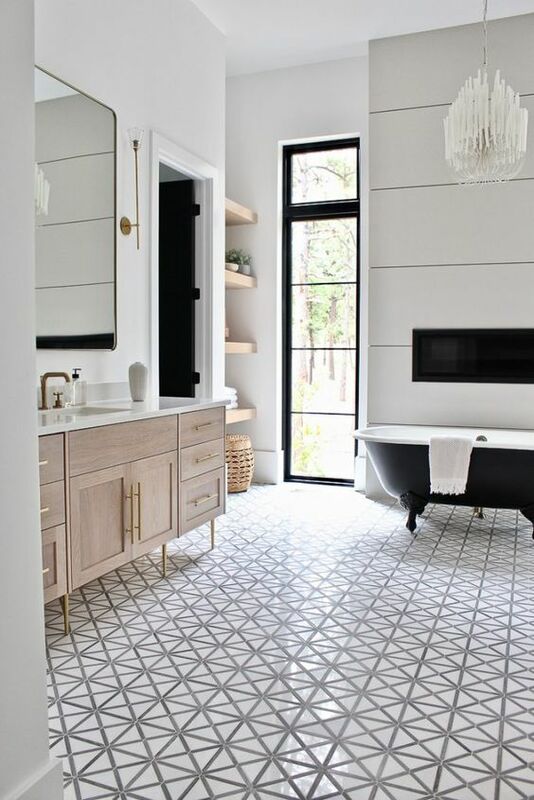 In this gorgeous bathroom, the interesting thing that has been stealing attention from the from the first sight is the patterned tiles. 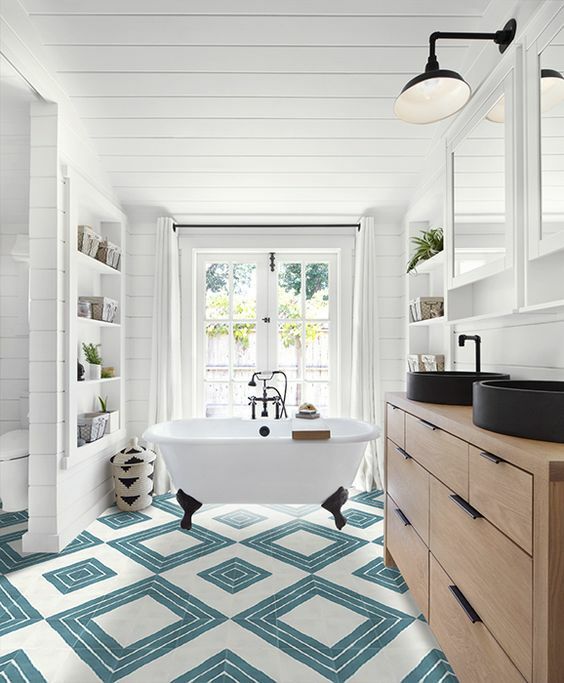 This pretty tiles bring the bathroom the intense interesting look that used to be seen in old houses with modern geometric pattern. Chandelier is an item that had been a hype in the olden times that can stay so long until these days. And this is why it is a great item to show vintage look in a room. In this one here, the items on modern and vintage are in balance. Although the floor takes a more vintage look, the wall takes a more modern look. The modernity in sink, mirror, and pendant are balanced with claw foot tub and wooden ceiling. In this one here, modern vibe is strongly felt in the clean and neat lines shown in the shelves, sink, and tub. 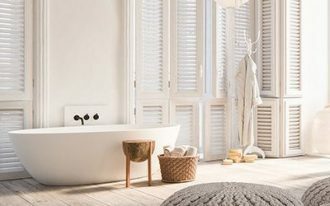 However, the soft color palette and the black tall faucet for the tub looks modernly vintage. Even a small space with sloping ceiling like this one here does not lose the ability to make a simple modern vintage bathroom. 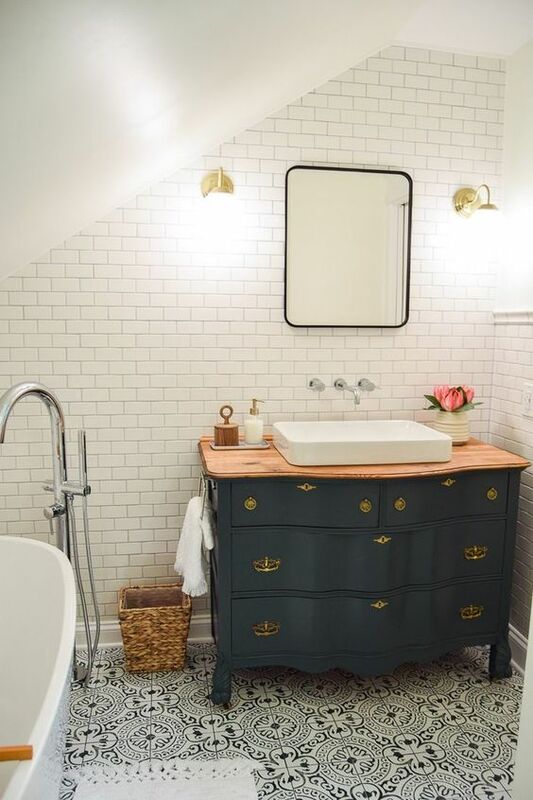 The vintage cabinet in this room is incorporated well with wooden top and white sink. 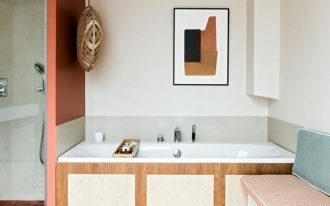 In this bathroom with white canvas from the ceiling to the floating shelves, a brown old-looking mirror looks interesting and asking for attention. This contrast makes the mirror looks bold with its curve and interesting shape. 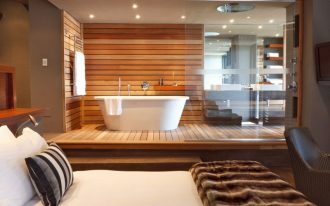 Adding warmth to a modern bathroom is a great thing and it balances the room. 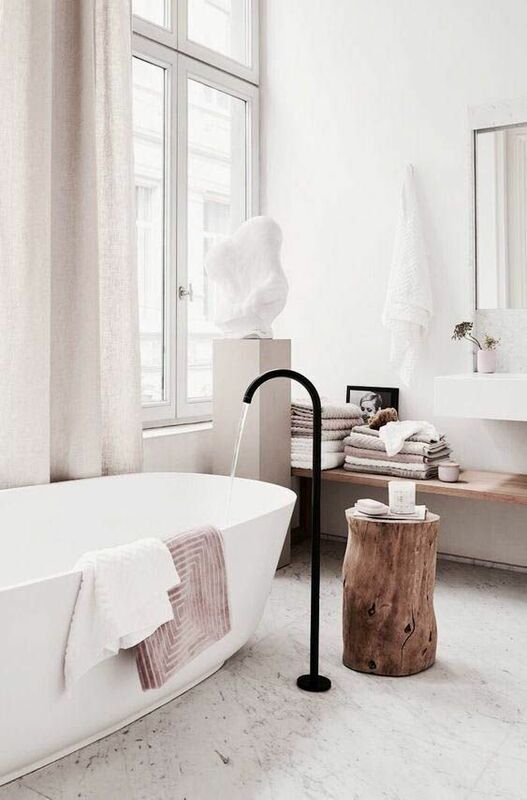 Seen in this one is an old style rug and wooden rack to balance a white modern bathroom. Arch entrance is a common thing in old style building. 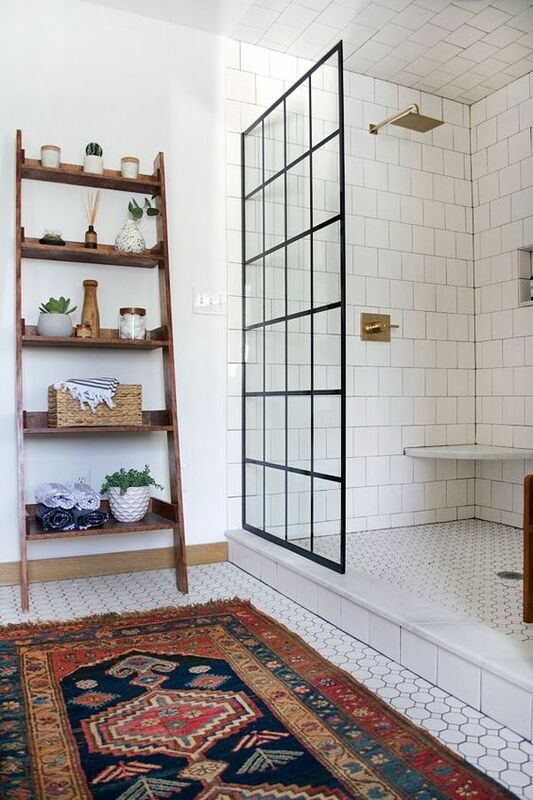 Making arch entrance in the bathroom will give vintage feeling to it. 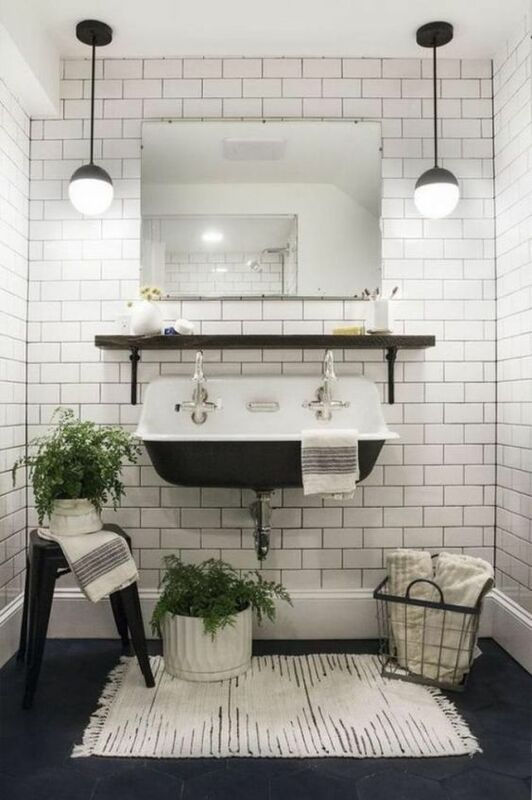 Adding a slim chandelier to add another vintage vibe without getting too much is another great thing in this bathroom with strong modern feeling. 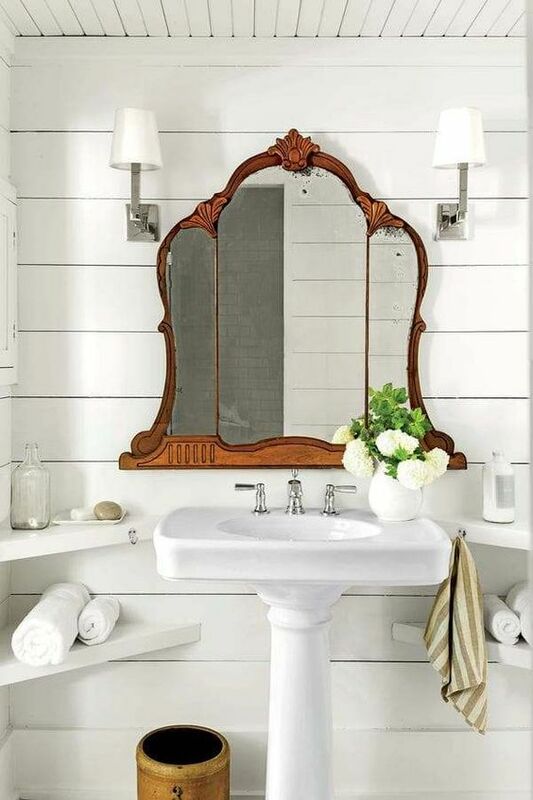 The feeling of tradition is strongly seen in this vanity with its big vintage sink. 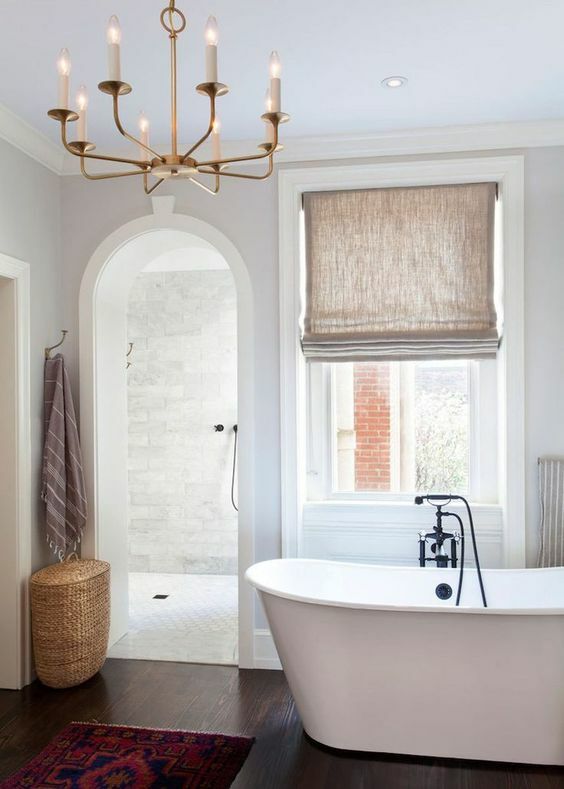 The modern pendants adds a great ambiance to this bathroom where old and new tradition mix together. Gold accents can be distinctive features that adds elegance. But it also a great feature in adding vintage look in a room. 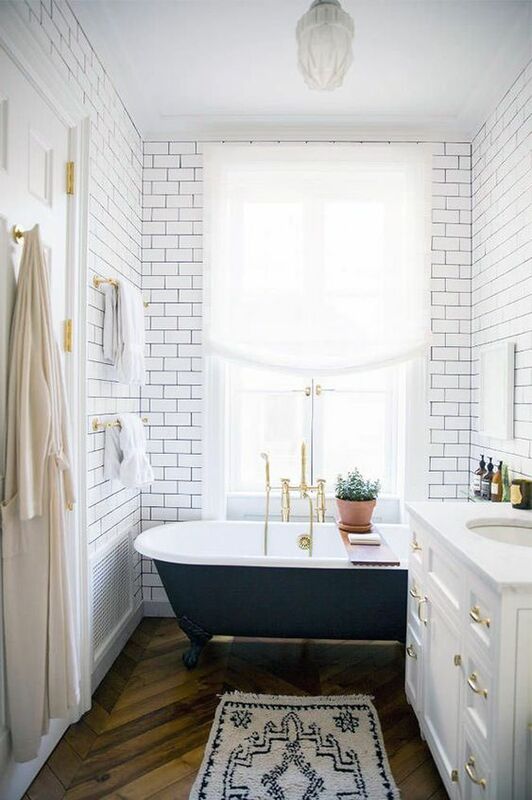 And this room with modern wall and vanity, looks great with clawfoot tub and golden lines in the faucet, towel handle, even the door.